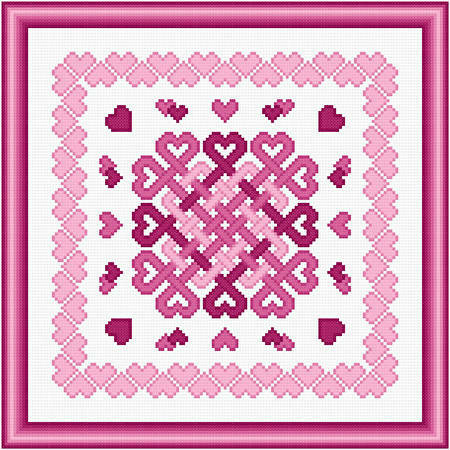 Love Knots cross stitch pattern... This Celtic design is surrounded by hearts, and a heart border. It is the perfect image of your love, displaying how it is both woven together and sent outward. All whole stitches are used.